Do you need an auto accident lawyer or a car crash attorney? 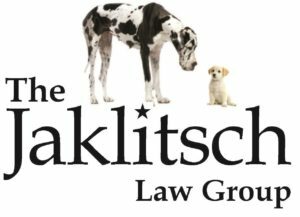 If you’ve been in an accident or lost a family member due to negligence, you need to speak to the attorneys at The Jaklitsch Law Group, near Capitol Heights, MD. Our car accident attorney can deliver the legal protection you need after dealing with a car accident. Accidents are traumatic. An accident victim may need the help of a car crash attorney to help negotiate medical and car insurance issues. That’s why it’s important to have an auto accident attorney to negotiate for you. Our office is small and staffed with highly skilled attorneys. The team at our office includes a wrongful death attorney, an auto accident attorney, and a truck accident lawyer. We are willing to go to court if your case requires litigation. We don’t receive a fee unless we win your case! If you’ve been in an accident, and need an auto accident lawyer, call The Jaklitsch Law Group today. You can reach us at (866) 586-6079 or by filling out our online contact form at the bottom of this page.